Obelisk. I erroneously supposed that the French stole from Egypt, however someone has since corrected me and told me it was a gift. I just took a quick look at the hyroglyph at the bottom and concluded it was stolen... I really liked Paris - the people were endearing, and the city was beautiful. 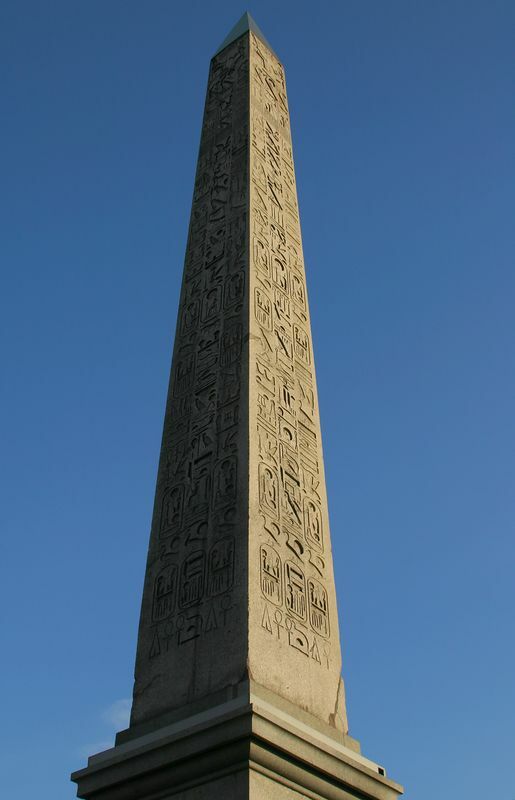 The Obelisk was given to the French in 1829 by the viceroy of Egypt, Mehemet Ali. I sense a bit of anti-french attitude in your photos, which is a shame, because they're quiet good.